Cottage Carnage for the Clarets. 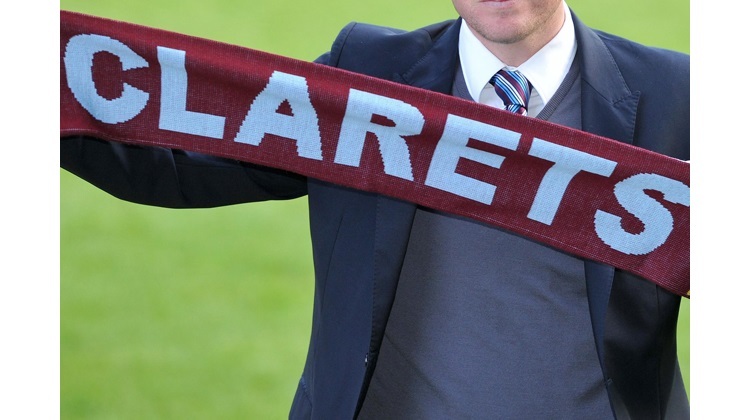 It has been a difficult week for the town of Burnley and its football club, one tinged with the type of tragedy which puts disappointments on the football field into a different type of perspective. On Tuesday, the death was announced of Jimmy McIlroy, by common consent the greatest of all who have worn the Claret and Blue of Burnley. I am too young to have seen him play for Burnley, but others who have talk of the skill and precision of his play, infused with imagination and a touch of Irish whimsy. Floral tributes now adorn his picture outside the stand which bears his name. Rest in peace, Jimmy Mac, Clarets fans old, young and as yet unborn owe you a debt of gratitude. More tragedy came with the news of the mysterious deaths of a Burnley couple whilst on holiday in Egypt. In a tight-knit community like Burnley, such deaths are immensely disturbing and unite the town in grief for their family’s loss. But life and football must go on, and Thursday night saw Burnley engaged in the latest instalment of their Europa League Odyssey, when they travelled to Athens to take on Olympiakos. It would seem that Burnley neglected to pay suitable homage to the gods who dwelt on the mountain after which their opponents are named. The capricious nature of those gods manifested itself in the performance of the referee, who it would seem yielded to the pressure applied by the players and fans of Olympiakos, when he awarded a second half penalty for a handball offence which was virtually identical to one which he had waved away in the first half. The offender, Ben Gibson, was then dismissed from the field, as the referee produced cards with the bewildering flourish of a stage magician. Olympiakos scored from the penalty which followed Gibson’s ejection, making the score 3-1 to the home team. This may well prove to have been the pivotal moment of the tie, as up to then, Burnley were holding their own against talented opponents. All however may not yet be lost, as Burnley are just about clinging on to their place in the completion by virtue of Chris Wood’s first half penalty, which could yet prove to be a valuable away goal. A 2-0 win next Thursday will see the Clarets through and it is incumbent upon the fans to whip up an atmosphere which will make the visitors uncomfortable and distracted and culminate in one of those famous nights at Turf Moor. After the travails and traumas of the week, spending a restful bank holiday Sunday afternoon on the river bank might seem to be just the tonic. Sadly, Fulham were in no mood to provide any respite when the Clarets visited their Craven Cottage home on the banks of the Thames yesterday. Indeed, Burnley were disabused of any such notion as early as the 4th minute, when Jean Michael Sari rattled in a shot from 25 yards to put the hosts one up. In a repeated pattern from last week’s encounter with Watford, Burnley conceded an early goal but didn’t take long to equalise, through Jeff Hendrick. But the déjà vu from last week continued when once again Burnley conceded two further goals in a short order. Fulham’s Serbian striker Alexander Mitrovic was the scorer both times, and although James Tarkowski made it 3-2 before the end of a frantic first half, it seemed evident that this was a game Burnley were destined to lose. The feeling was confirmed when Andre Schurlle confirmed Fulham’s victory with a fourth goal late in the game. The plain fact is that Burnley have now conceded ten goals in their last three games, which for a team built around defensive solidity, is alarming. If Burnley cannot repel their opponents attacks, they are finding that they have precious little in their armoury to hit back with. Despite their success last season, Burnley have been unable, or unwilling, to lure players of the quality of Mitrovic and Schurlle to Turf Moor. Burnley suffers from a perception of dourness and parsimony and when a player weighs this against the cache of the fashionable part of London, and a no doubt heftier pay packet, there is only one winner. The Europa League entanglements are being widely blamed for the Clarets’ poor start and I would concur that the need to play each Thursday and Sunday has disoriented the team and handed the players a convenient excuse for their lacklustre start to the season. It is early days, and as yet there is no need to panic, but Burnley do now need to address their subsiding form before it becomes a landslide; they need to repair the cracks that have appeared in their defence, dismiss any negative thoughts of fixture congestion and respond with vigour and gusto to their current situation. This is what Burnley fans have come to expect from their team under Sean Dyche; it is what Jimmy Mac would have expected of them. Written by Dave Thornley who contributes regularly for Clarets Mad.